With hiking energy prices along with the fact that it has never been easier to use (and waste) electricity, it shouldn’t come as a surprise that a growing number of Aussies are looking for ways to lower the cost of their energy consumption. Luckily, the times are changing and more and more people are making an effort to switch to renewable energy solutions, such as solar energy. The money-saving benefit solar energy offers is the main reason behind the growing number of people installing solar hot water panels. For instance, heating water comprises about 25% of the total energy consumption of a single household, hence installing solar hot water panels can really reduce your electricity bill. But saving money is not the only reason to invest in a solar system. Solar panels contribute for less or even no CO2 emissions meaning they can create energy without contributing to pollution. This makes them the most environmentally friendly power source on the planet. In the light of this fact, powering your home with solar panels can help reduce the effects of global warming. Moreover, these systems are completely self sufficient. They are designed to harness large amounts of electricity just by capturing the sun’s rays. They absorb the sunlight and convert it into heat that is stored inside the solar panel which is heavily insulated. It has tubes and passages in the solar panel and pipe system that send the heated water to the boiler. They can be either standalone or installed on rooftops. Rooftop panels are, as the name implies, mounted on the roof and ideally you would have them set at a 90 degree angle for more exposure throughout the whole day. However, if you have a flat roof, the system would require an incline frame to set it in the right angle for the more sun exposure. If however you can’t install a panel on your roof, maybe standalone panels are better suited for your home. They can either be put on the ground at a fixed angle, or be fitted with trackers that follow the sun to increase efficiency. Additionally, some DIY enthusiasts might be able to install the solar system themselves, but since that involves heavy panels and electrical wiring, it is advised to take all the necessary safety precautions before undertaking such task. There are also a lot of schematics and ideas for homemade solar powered creations so going through some DIY sites is a must for anyone who wants to use the sun’s power to their own advantage. 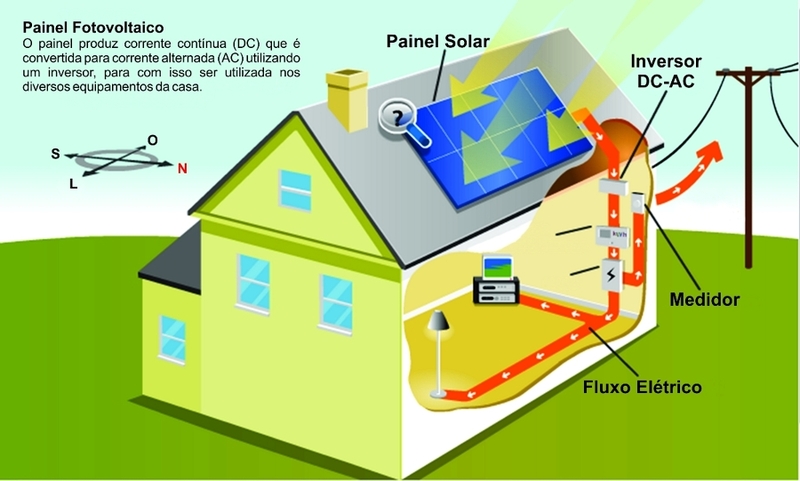 The use of solar systems goes beyond making households energy self-sufficient. You can do with solar that you can’t with normal electricity, and that is installing it on a vacation villa, cabin or RV which is isolated from the electrical grid. With the warmer months of the year finally here, now is the perfect time to hit the road and indulge in an adrenaline-filled adventure. However, there’s nothing as frustrating as not being able to bring all the necessities with you, due to storage and space restrictions. Four or five people in a single vehicle, each packing a bag or two, and necessities such and a table and chairs force people to limit the amount of belongings they bring along. However, this doesn’t have to be the case. A practical, yet affordable solution for this are roof racks. You can easily find roof racks designed for a specific make and model of vehicle, like roof racks for Holden Colorado, Toyota HiLux, Toyota LandCruiser, etc. online. By buying model and make specific roof racks for Holden Colorado, HiLux, Landcruiser, or any other vehicle, you ensure it fits properly, with minimum or no modification having to be performed on the vehicle itself. This is perhaps the largest factor that convinces people who don’t have a roof rack to get one. Another factor that makes roof racks a money-worth investment is obviously the increased storage space, which results in increased legroom space inside the vehicle. 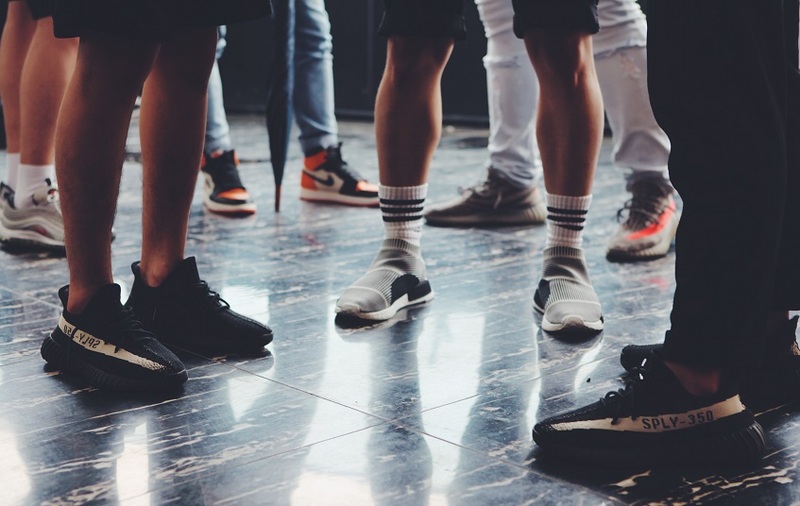 Additionally, you get a platform where you can safely and securely transport sporting equipment like dirt bikes, a surfboard, or even a grill. Most roof racks come with mounts, towers and side rails. The mounts hold the system to the vehicle, while the towers are attached to the rails. There are usually four contact points, which should be used to tie down the equipment to the roof rack. This ensures optimum stability and security. Moreover, while tying the equipment, hold the straps tightly, so you don’t have to tie a bunch of knots. You should also wrap the straps around the gear a couple of times on all four contact areas, to ensure everything is properly secured. 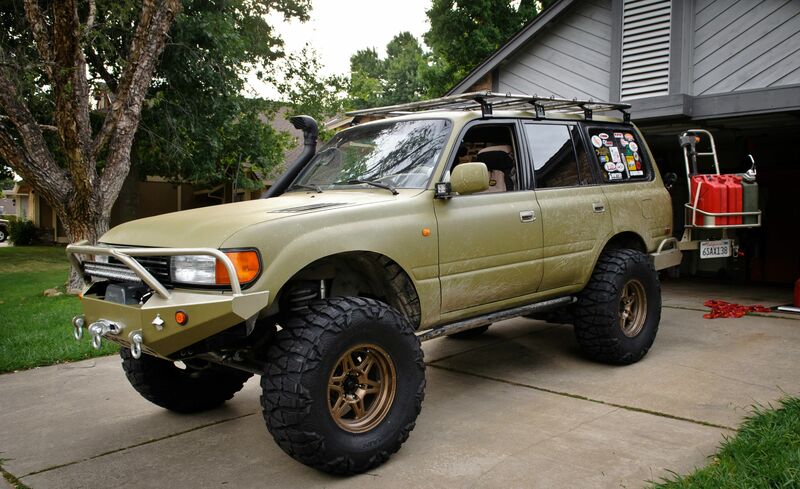 Moreover, you aren’t restricted to using a roof rack for off-road adventures exclusively. Any tradesperson can benefit from having a roof rack on their vehicle. Everyone can benefit from a roof rack, regardless of age, profession and the size of their vehicle. It’s a super convenient, functional, yet affordable accessory that can immensely improve the quality of your adventures, and the quality of your life when performing various daily tasks. After you’ve owned a house long enough, you’ll find that the landscape posters and inspirational quotes you’ve bought at your local supermarket can’t cut it forever. When you’ve matured along with your taste in interior décor, you’ll start to realize that your walls deserve much more. And to be honest, there’s nothing like artwork to give life to boring walls and make a home complete. Art has the unique power to give any space more depth and more soul. Ever since their invention, bunk beds have been all the rage among kids. However, they are utilised in many other commercial facilities as well, simply because there are many benefits that come with them. For instance, they maximise floor space, which is probably their biggest advantage. Floor space is important to a lot of hospitality businesses as well, and with bunk beds, they can cater to more people without having to sacrifice style and comfort. You can easily find and buy bunk beds online from the convenience of your own home, and rest assured that you’re saving money, regardless whether you’re buying them for commercial or residential settings. A very common scenario is people moving into a new house with two kids, and the room designated for the kids is rather small, thus limiting their play space. That sometimes forces parents to make a separate room for both kids, which in turn results in increased electricity bills and other maintenance costs. Moreover, bunk beds are very easy to clean. You don’t have to follow any special instructions. Just clean them as you clean regular beds. Additionally, they’re very versatile and have multi-purpose options. They can feature drawers and can easily be transformed into a sofa, for instance. This can be especially useful in commercial settings like hotels that are very limited space-wise. One of the best things about bunk beds is that you can find both highly customisable, and non-customisable bunk beds to fit all your needs. Things like ladder movement, side rails for security and many other things like that can be extremely convenient for the kids and parents as well. For example, parents can tend to an ill kid without disturbing the other one. If your kids are younger, they probably want to be close to one another, yet have their own personal space. I personally enjoyed sleeping in a bunk bed above my brother and doing playful things like dropping a spider and spooking him in the middle of the night. Moreover, the ladder is always fun to climb up and down and bunk beds make one hell of a bunker with just a sheet. That being said, bunk beds can be a great addition to any kids’ room, hostel and any other hospitality service. 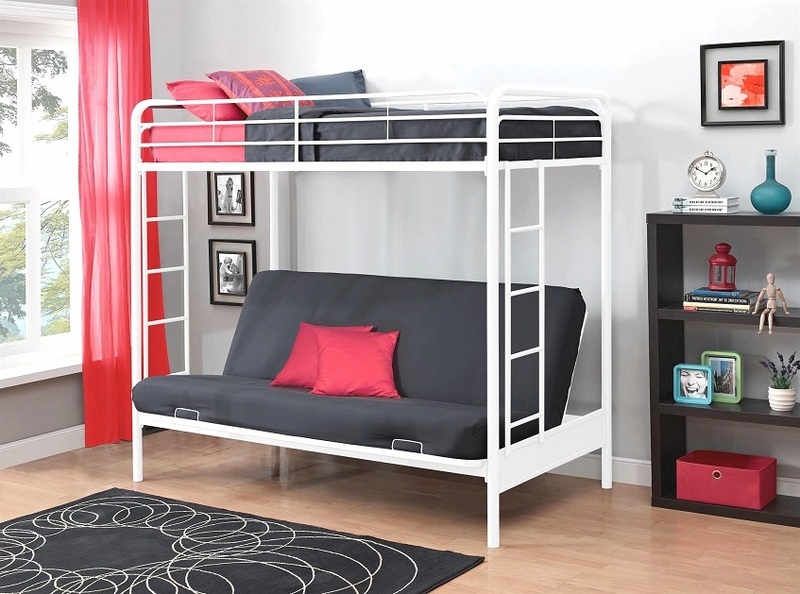 You can find many types of bunk beds with different features online and in furniture stores. If you want to shop from the comfort of your own home, you can search and buy bunk beds online, and have them delivered to your door. Assembling and maintaining bunk beds is very easy, and it can be a DIY project to work on with your kids. No home is complete without refreshing, luscious greenery. Just walk into a space filled with happy plants, and your mood instantly becomes uplifted. Any home adorned with houseplants is healthier, fresher, more colourful and vibrant. They are especially important for small and confined spaces where air can’t circulate that much because they produce fresh oxygen and clean the air naturally. If the reason you haven’t included houseplants in your home is because you consider yourself lacking a green thumb, or are too busy to tend to their needs, read on for encouragement on how you can keep houseplants happy and boost health and happiness in your home. If you’ve ever had problems keeping plants fresh and alive, you might want to consider an alternative solution this time – modern self watering planters. Between your packed work schedule and your private life, it’s easy to forget watering the mini jungles in your home. 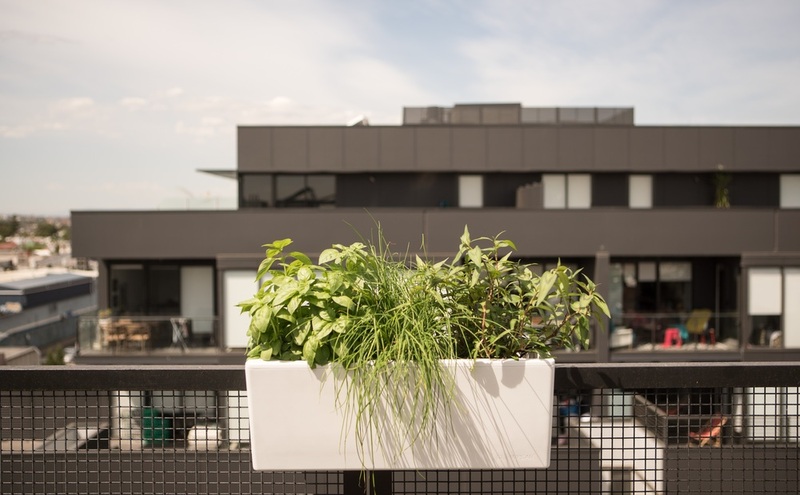 But these planters have a smart, self-sufficient design, allowing them to go on for weeks without being watered. How does this sorcery work? When you pour water into modern self watering planters, it goes straight to a special reservoir. The reservoir has a special cover which allows water to be dispersed into the soil gradually and evenly. This system significantly minimizes seepage and prevents water from evaporating easily. People who travel a lot might find these planters especially useful because they allow them to go on not watering the plants for weeks on end, depending on the type of plant, soil and temperature conditions. If you’ve ever wanted a vegetable garden, but you aren’t able to have one because you live in an apartment or your yard hasn’t got enough space for it, self watering planters can prove to be a dream come true. In order to grow properly, many vegetables growing on stalks, such as tomatoes, need to have strong roots to support them. In the case of garden plants, the roots can draw natural moisture from underground water basins at all times, but with potted plants consistent moisture is impossible. When you water potted plants, the top layer gets the biggest amount of water while the roots receive the smallest fraction of it. But in self-watering planters, the water goes straight to the bottom, and the roots are the first to receive it. The constant supply of moisture stimulates roots to grow. Another selling point of modern self watering planters is their sleek, elegant design. They usually come in smooth, rectangular shapes and in neutral colours that can complement any living space. A beautiful colour for any modern planter is white – it provides contrast with the greenery planted in it, allowing it to visually pop out. In any case, you should carefully think through the look of your planters because in the home, planters are also a decorative statements. When in doubt, a timeless, minimalistic model is always a good choice.